The Science of Achievement vs the Art of Fulfilment. My gut feeling about 2014 was that it was a testing year in my climbing, but when I look at what I achieved one might wonder why. I climbed multiple V12s and my hardest sport route to date, an 8c. Shouldn’t I describe that as one of my best years? Perhaps in numbers….but outcomes aren’t always the full story, and a “testing” year isn’t always a bad thing…..
Don’t get me wrong, I felt extremely fulfilled and happy when I clipped the chains on Mecca Extension….but by that point in the year I had already begun to make a shift, a shift that, I feel, allowed me to succeed on that route. That shift is what I want to talk about in this blog. That shift, in fact, has also made 2014 perhaps one of my most useful and most transformative years. I feel like one of the toughest decisions (climbing-wise) that I have made was to stop competing (see blog). I wasn’t happy, even when I was training for them but I am very good at pushing on, too good really. I convince myself that I want something and one of my best skills is to keep plugging away. That first half of the season before I stepped out of the circuit was completely draining and pretty soul destroying; I didn’t even do that badly but it ran a lot deeper than results. It was about self worth, commitment, deep-seated habits and failure. It was like, until that point, I wouldn’t set myself free from the competitions. It looked too much like failure and my ego couldn’t take it. 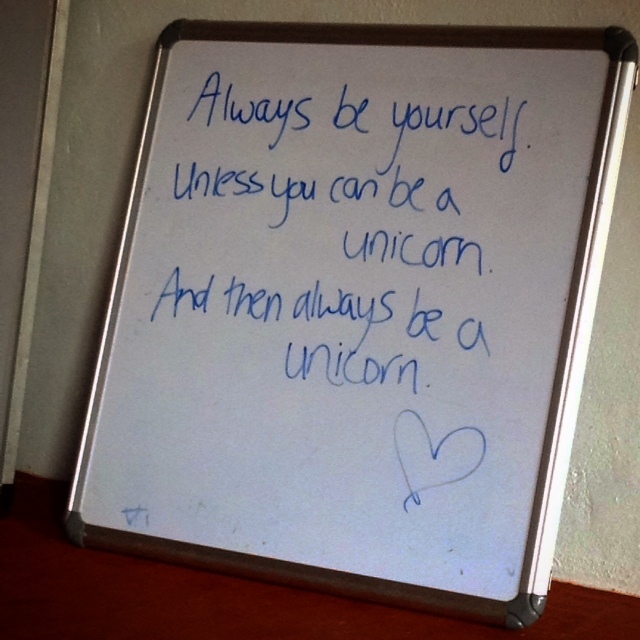 That was a turning point in self-acceptance for me. I took a step back and said to myself “you didn’t do as well as you wanted, you aren’t as good as a competitor as you would like to be, but that’s okay, you are enough”. Funnily enough, even though I thought I had found some inner acceptance, I still found it extremely hard emotionally when I put a lot of time and effort into The Vice (8B) in Rocklands over the summer and wasn’t strong enough. It seemed I wasn’t done testing myself and I certainly wasn’t done learning. My point isn’t that I shouldn’t be pushing myself, it’s that I want to be able to do so with compassion, and without self-loathing when I come up short. That may sound dramatic but I know I’m not alone. I always see climbers struggling with their inability to perform; some throw things and shout; some cry and some just sit in silence. I wanted climbing to be challenging but affirming, hard but enjoyable, fulfilling but not all-consuming. 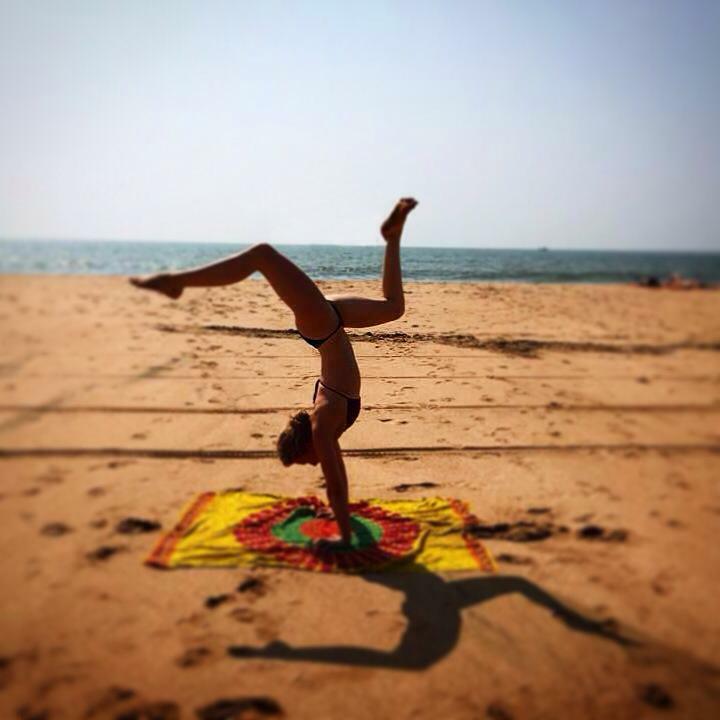 The shift began in 2014 when I became reacquainted with an old friend: my yoga practice. 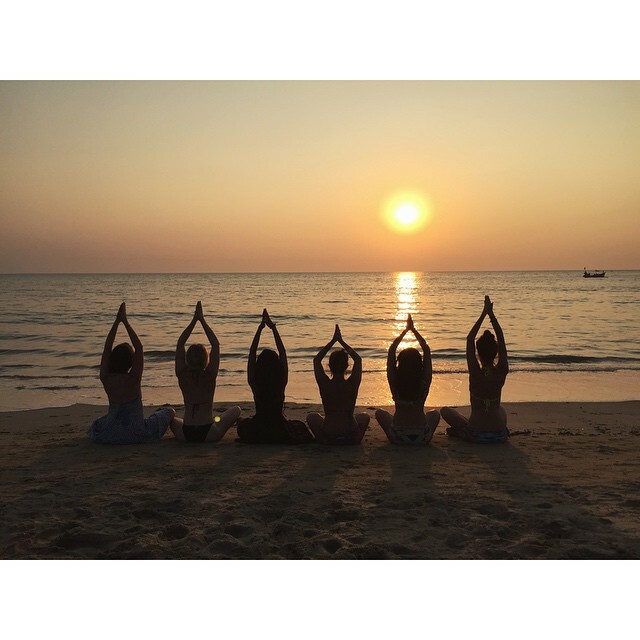 I first practiced yoga as a teenager and have been in and out of it ever since. I have had some very intense periods and some phases of leaving it behind completely. I’ll be honest, like many I came into yoga from an exercise perspective initially. I saw it as a way to balance my body from the effects of climbing, to open my chest and my posture and to improve my flexibility. Yoga does do those things but in 2014 I discovered a depth to my practice and found an incredible source of stability, comfort, strength, resolve, compassion and release. Those reading this that have developed their own practice will know what I am talking about. I found a space in my practice that was just mine, a place where I could observe my thoughts and feelings, see my many habits for what they are, finding a balance in the way I deal with myself. In the struggle to hold postures, I found a different kind of inner strength, a kind that doesn’t care how many pull ups you can do. After practising again for a few months I also started to find relative mental silence. It connected me back to my breathing, sounds basic I know, but it felt hugely grounding and gave me a sense of control and safety. In that quiet struggle on my mat, I learnt about my fears, my happiness and my emotions. I made changes towards the positive, questioning my thoughts, my habits and finding more acceptance and compassion for myself and for other people. It was these things that got me up Mecca Extension actually. When I was first trying it, I had so many thoughts in my head – beta, decisions, worries…the list goes on. I would get to the rest after the 8b+ section and my mind would be whirring with excitement and thoughts. My breathing would be hard and I was constantly analysing how pumped/tired I was. It felt like anxiety and hyper-awareness played a part in my physical performance. By the time I did the route, I was at that rest and the only thing in my mind was “breathe in, breathe out”. No analysis, no thinking about the beta, just grounding myself through my breath and trusting in myself that I would know when my body was ready to move up and I would know how to climb the top section without thinking about the moves. I’ve never felt so weirdly connected to and at the same time detached from my body while climbing. Just how yoga became a moving meditation for me, so did climbing that day. Some call it a flow experience and I guess that’s what it was. The key for me was that it didn’t just appear out of thin air, it came from practice, from finding that space on my mat and being able to reproduce it on the rock. I can’t always do it, but once found, I knew it was in me to go to that space. I won’t rattle on for too long but I guess what I wanted to share was the change element, the discovery of something that has proved so moving and helpful to me. It may not be everyone’s cup of tea, of course, but it certainly is mine. I think it also has a lot to do with timing. I did yoga before but never made this mental shift; I guess I just wasn’t ready. 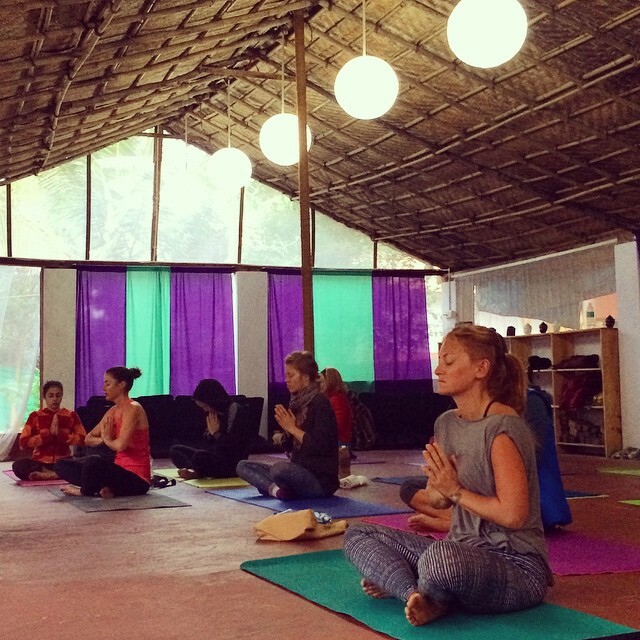 For the last month I have been in India, doing a 200-hour Yoga Teacher Training course and it has been incredible. All the things I have already mentioned have deepened, I have let go of a lot of things and at the same time have found a real love for teaching. During my time here I both laughed hard and cried like a child. I have cemented my learning and clarified my intentions for the kind of future I want to create: in life in general and also in my relationship to my climbing. I am really psyched for climbing but I am going to try to move forward to new challenges with a more compassionate mind. I am also really excited to develop not only my personal yoga practice but also to begin teaching. The teaching element is two fold actually: firstly I love it and want to do it; secondly I want to have something else that is very solid outside my climbing. I want to not fully define myself (internally) by how far up a rock face I can get; I want to embrace my diversity and to do something outside of myself by sharing something meaningful with other people. Over the last two or so years I have tried my best to make some kind of living out of climbing through sponsorship and it has been an interesting journey. I’ve played the social media game to a certain extent (very topical at the moment, I know) and have found it sometimes positive and useful and sometimes uncomfortable. I hope that moving forward with teaching will help me to find a good balance between my two passions and I hope to maintain the awareness to be true to myself in all my endeavours. It’s been a hugely empowering process and I can’t wait for 2015. We did it! 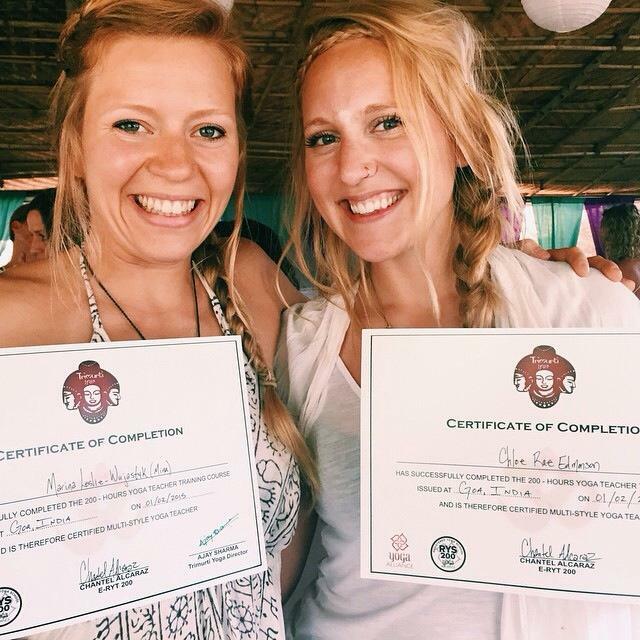 Certified Yoga Teachers! Thanks for sharing. I’m currently trying to reconcile myself with letting go goals which no longer fulfil me/realising it’s okay to be the person I currently am rather than the one I used to think I wanted to be. Thanks for being such an inspiration. A friend who is a climber and also one of my yoga students pointed me to this post, and I’m so pleased that he did. The practice of letting go in whatever we do, so that we can truly be in the moment, is a hard lesson, but one that is worth persevering with, as you have discovered. Thank you for sharing your experiences. Thank you for writing from the heart. Practicing yoga has shifted my beliefs and self perception for the better. Yoga and all it embodies is great for the soul. 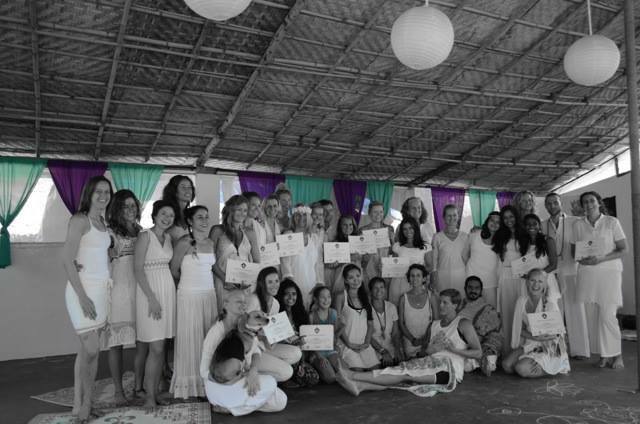 Congratulations on becoming a certified yoga teacher. It sounds like you are embarking on a fulfilling journey, which is lovely to hear and I wish you all the best. Such a great blog, so true and very inspirational and helpful when knowing how to deal with disappointment when the climbing achievement isn’t as good as we want it. Well done on your teaching qualification, I’d definitely come to your class! A great read thank you! I’ve Just started yoga again after a long break. I’ve been plaged by injury so can not climb or train how I would like. Learning to accept and let go seams to be the way forwards. Amazing read, thanks a lot for sharing! 🙂 Congratulations on your certificate, I wouldn’t hesitate to come to your class if I got the chance! Great to read this Mina. Thanks for sharing. I really enjoyed this post. I climbed for many years from the 60’s on but was introduced to that “quiet space”, the calm centre, from the perspective of Buddhist meditation and it is very similar. Once you can tap into that space you learn to be compassionate with yourself and others as you have so obviously discovered. There is a strength there that carries through in the “off the mat” world that we function in. I hope you are able to integrate it all as you hope and that your passion for both continues to grow and that you enjoy the rewards of teaching. After a long gap I’m now climbing again trying to introduce my grandchildren to both of those very rewarding paths. Thank you for articulating that struggle and journey so well.